This is the second blog in a five-part series, DLL Data Gaps. Click here to learn more about this project and here to read the first blog in the series. At a system level, even this basic level of information is a challenge for many states to pin down. In part, this difficulty reflects the nature of ECE as a sector. In contrast to K-12 public education, ECE is fragmented across a variety of funding streams and settings, including child care centers, home-based care, Head Start, and state pre-K programs. This reality, which some have compared to a “patchwork quilt,” adds extra layers of complexity for streamlining and coordinating policy efforts. Federal policy, for example, has increasingly clarified expectations for states to identify and collect information about “English learners” (ELs) enrolled in elementary and secondary schools. Though far from perfect, every state must establish one policy to determine which students qualify to receive extra language services—ones that ELs are entitled to by civil rights laws governing K-12 education. Typically, upon registration for public school, families receive a home language survey that enables schools to identify a pool of potential ELs. The school then screens these students using a standardized language assessment. If a student scores below a state’s benchmark on the test, they are formally classified as an EL. Federal policy also mandates that states track data on the number of classified ELs. ECE presents an entirely different context. The K-12 federal mandates for ELs do not extend to pre-K, which students are not legally required to attend and is not universally available as a public good. Across a splintered ECE system—with a variety of policies, standards, and regulations in a variety of settings— there are more challenges to producing an aggregated count of DLLs. 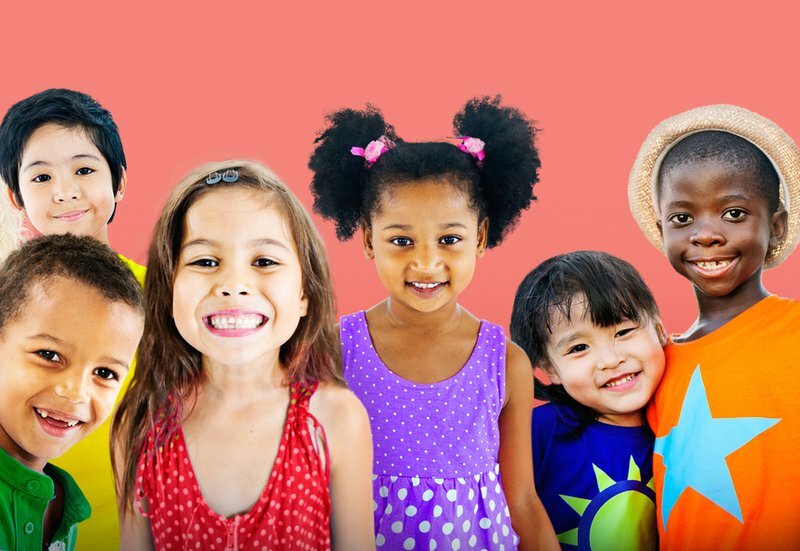 In some cases, researchers have attempted to overcome this data void by looking at Census data on 3- and 4-year-olds’ participation in a wide range of child care arrangements reported by families speaking a non-English language at home. This produces a helpful yet rough estimate of the total number of DLLs enrolled across both public and private ECE settings: 41.5 percent compared to 47.9 percent of non-DLLs, by one computation. Even within state-funded, public pre-K programs (where there is a relatively greater degree of control in setting cohesive policies), it is still hard to get a firm count of DLL children. State pre-Ks use various methods to identify DLLs, including teacher observation, developmental screenings or assessments, family member reports and surveys, or some combination of these strategies. But in the 2015 Preschool Yearbook published by the National Institute for Early Education Research (NIEER), 10 state programs reported having no policy for DLL identification and 13 states responded that these protocols were “locally determined.” It is not surprising, then, that most states do not have clear numbers on DLL enrollment: as previously noted in the first blog of this series, NIEER found only about half of state pre-Ks could report these figures. As states seek to standardize the process for DLL identification, the use of home language surveys is a key policy lever. As noted above, federal law in K-12 requires local leaders to give these questionnaires to parents or guardians when a student enrolls in kindergarten. The survey typically asks what language(s) the child learned first, understands, and uses, and in which contexts. The home language survey is a practice that states should consider standardizing and extending into the early years, although perhaps with modifications. In the ECE context, several DLL researchers have stressed going beyond a one-dimensional survey sent home on paper. “‘Home language survey’ is a bit of a misnomer for what is ideal,” DLL expert Linda Espinosa explained in a recent interview. Instead, a protocol for conducting an in-person family interview, with a structured set of questions on DLLs’ language experiences, dominance, and social history, has potential to gather richer insights. A uniform protocol for surveying or interviewing families would help states collect better estimates on the number of DLLs they serve. However, only around a third of state-funded pre-K programs—23 out of the 60 nationally—report having policies to collect information about language use in the home, such as through a home language survey. Developmental screeners, which test a child’s skills in language and other domains, are another approach to identifying DLLs in a more systemized way. When using screeners to assess language abilities, it is crucial to test not just in English but also the student’s native language. When programs do not screen the home language, they get an incomplete picture of students’ linguistic abilities, setting in a motion a “deficit perspective” that focuses on what DLLs cannot do with language versus what they can. Screening bilingually also helps educators differentiate between typical development and language delays or other learning disability issues. At present, few state pre-K programs screen to identify DLLs in English, let alone in their home languages. As a bright spot, Head Start’s new regulations, updated in 2016, require screening DLLs in English and the home language. This is an important practice that state ECE leaders should push for across state-funded programs to help guide resource allocation, instructional practices, and program staffing. Adopt a uniform protocol, such as a family interview and language screening, to identify DLLs and collect this data across state ECE programs. Screen for language abilities in both English and a child’s home language. Click here to read the third blog in this series, which examines gaps in data systems that rate program quality for DLLs. An earlier version of this post stated that 21 states (including D.C.) reported using a home language survey at the beginning of the year, based on NIEER's 2016 Preschool Yearbook findings. This year, NIEER's 2017 Preschool Yearbook shows that 23 state programs (including D.C.'s) have policies to collect information about language use in the home, such as through a home language survey.